If you’ve flipped through the pages of any shop magazine lately, you will have likely come across several articles on the ever-growing tech shortage. And while your Parts department may not be experiencing the impact, your Service department, and the shops you do business with, likely are. 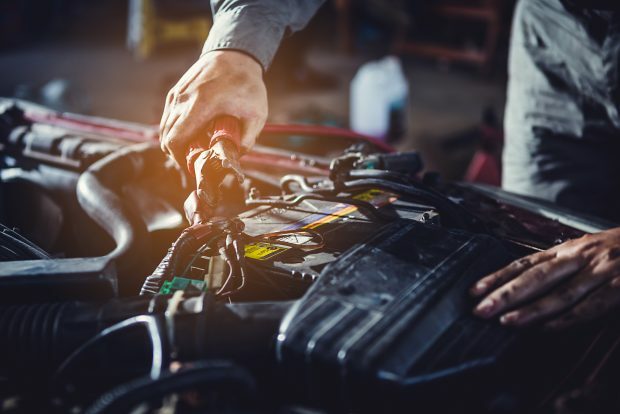 The “tech shortage” we are referencing here commonly refers to the significant lack of technicians available to fill the current open jobs the auto repair industry needs. While we are not the experts on how to resolve the tech shortage (there are hundreds of resources we could refer you to for solution ideas), we want to provide you with some baseline information that will have an impact on your customers’ business – which, in the end, may affect yours. It all started out as a generational thing. Baby Boomers, those born 1946 – 1964, grew up with parents who managed to make it through tough times, including World Wars. Back then, fixing cars yourself was pretty common. Their parents survived on being frugal – which meant doing a lot of repairs themselves. This in turn gave the auto repair industry a wealth of talent ready to enter the workforce and trained to fix cars. The Baby Boomers were followed by Generation X, those born 1965 – 1979. At the time, the number of technicians available far outweighed the demand. This likely had an effect on how Baby Boomers were raising their children -- where Higher education became a strong focus, out-graduating the generations before them, focusing less on manual jobs. Then the 1980’s came along, and welcomed the next generation, Millennials. Millennials, those born 1980-1994, were born in an era where technology was the biggest life-changer of the time. And technology advanced – fast. This new technology boom created a substantial amount of opportunities that never existed before – think Apple, Microsoft – and changed the employment landscape as we knew it. Those coming out of high school weren’t focused on trades; they were focused on these new tech positions that needed a college education and extensive technical training. And while this generation was working to develop new safety features and ways to improve car design, vehicles themselves were built very differently with the influence of robotics. Today, we do nearly everything electronically. We can summon a car to pick us up, pay for the ride, and communicate all without actually saying a single word. What does this have to do with the tech shortage? In a word: everything. The next generation to join the workforce, Generation Z, those born 1995 – 2012, have never known life without technology. They’ve never encountered technology as “the newest thing” to adopt – it is part of their everyday lives. So this generation isn’t naturally inclined to fix things themselves if they have grown up in a society where you hit a few buttons to come up with a resolution. Fixing things with their hands isn’t a norm – it’s become the exception. They aren’t exactly to blame, though. Generally speaking, high school educational curriculums are focused on academic college preparation courses rather than vocational education¹. So while students may have an interest in learning about vehicle repair, many educational programs fall short. Their parents (and/or grandparents) who have established great careers in the repair industry are now becoming close to the age of retirement without a lot of techs coming in to fill their shoes. And the number of cars needing repairs isn’t slowing down anytime soon – they have gone up². What does this all add up to? The perfect storm. And here lies the problem of the future of car repairs. Next: Translating Shop Speak: Do Your Shops REALLY Like to Call You? Sales or Fixed Ops: Who is going to take the lead next year? Time is of the essence: Are you wasting yours?